First of all, it has a positive impact on your credit score. It will reduce your overall credit utilization ratio. This means more credit lines will open for you at a much lower interest rate. Secondly, the surplus limit means you will always have extra funds available for emergency. Increasing your credit card limit is not about having the extra spending power. It has several long term benefits. First of all, it has a positive impact on your credit score. It will reduce your overall credit utilization ratio. This means more credit lines will open for you at a much lower interest rate. Secondly, the surplus limit means you will always have extra funds available for emergency. Lastly, it is always better to get an increase in the credit card limit rather than applying for new credit card, as your credit score is directly affected by the new credit accounts. Here are a few ways in which you can enhance your credit card limit. Sometimes, it is as simple as asking your credit card issuers for an increase. If you have maintained a good spending and payment record, the issuer is more likely to accept your request. However, do not ask for it too soon. If your credit card is less than six months old do not try to negotiate with the issuer. Your credit card issuer will view it as a risk. Instead, wait for a few months and in the meanwhile build a good credit. Also, when making the request, do not ask for more than ten to twenty percent limit increase. Any amount higher than that is likely to get declined. Before you start requesting or negotiating with the issuer, you have to ensure that there is a good basis for your request. For this, you will need to maintain a good spending as well as payment history. 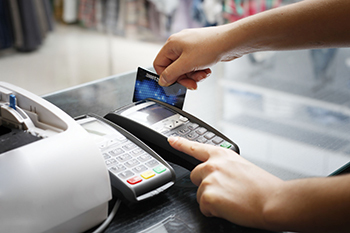 Make frequent credit card purchases and pay the full amount every month, on time. This will make you look like a responsible credit card user, who can be qualified to get the increased limit. To do this, you will have to hold the cash payments and start using your credit card more often. Use the cash to make full payments on your credit card. It will also positively affect your credit score. This card should be the one on which you get the best rewards or the one which you use more frequently. There is another reason to limit your request to just one or two cards. Every time you request for a credit limit increase, the issuer will pull your credit report. Too many requests for credit report at the same time can dip your credit score, as it seems to indicate that you are desperately trying to get new credit, which is not a good sign for the credit card issuing company. Now is the time to put all your negotiation skills to work for you. Start with reminding the issuer that you have had a long history with them as a very loyal customer. Tell them how you have maintained a good spending and payment record on the credit card issued by them. If you are expecting a promotion or a pay rise, make sure that you let them know about that too. However, if you are considering a job change, never mention that to your issuer. Even if you are getting a 30% salary hike in your new job, your credit card issuer will considered the job change as a risk. If the issuer is still not willing to increase your credit limit, you can use the last resort of letting them know that though you have other credit card offers, you wish to be their loyal customer. Note – If it is difficult for you to keep your spending habit in check, all the benefits of getting a credit card limit increase will be pointless.